We've been helping people find their perfect retirement property for over 30 years and have over 1,500 retirement apartments, cottages and bungalows for sale. Through RHS Assured, we guarantee to sell your home within a set period of time. This means you can avoid a situation whereby you find your ideal retirement property but risk losing it due to not finding a buyer for your existing property. Easy Budgeting - You receive a fixed offer for your property, subject only to survey and contract. You avoid estate agents' fees and there is no risk to you of adverse house price movements. Convenience - You can move in a timescale that meets your requirements and can remain in your previous home for up to two weeks after completion in order to organise the move. No Hassle - You avoid the delays and disappointment of collapsed chains. Furthermore, you can avoid the disruption of viewings as your property will only be marketed by prior agreement. There are no hidden fees or extra costs. For more information call us on 0333 321 4060 (England, Scotland & Wales), or send us an email. Because we know that buying and selling can be a stressful experience, our property conveyancing service is designed to make your move as quick and easy as possible. Get a fixed price guarantee from the outset. Energy Performance Certificates (EPC) are required by law if you are buying or selling a property. The certificate provides 'A' to 'G' ratings for the building, with 'A' being the most energy efficient and 'G' the least. The graphs that form part of the EPC will be reproduced on your property details. Unlike other agents who offer a ‘free’ EPC to clients in return for signing them up to an extended term of engagement - often at an exaggerated fee - Retirement Homesearch offers a totally transparent, competitive, ‘no strings attached’ service. Sourcing your EPC via Retirement Homesearch has the additional benefit of allowing us to provide and display a floor plan of your property showing room dimensions. To find out more for England and Wales retirement properties contact our friendly and helpful sales team on 0333 321 4060. For Scotland retirement properties, a Home Report is required. For further details, call 0333 321 4060. Looking to move back to the UK? We can assist if you’re thinking of returning home from overseas and buying a retirement property in England, Wales or Scotland. 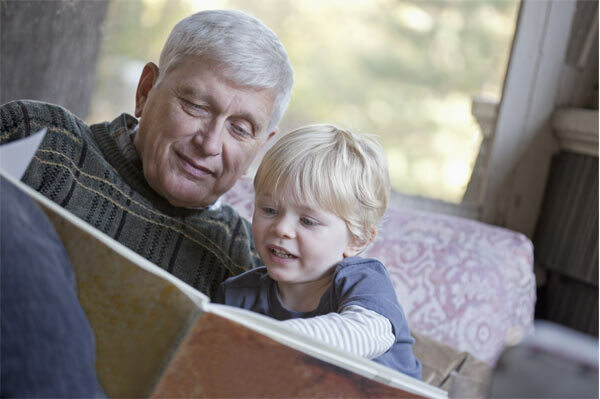 We regularly help people resettle so they can enjoy their UK retirement home closer to friends and family. When Francis Carey and his wife Evelyn left Britain for Spain in 1997 it was for a better life in warmer climes. Although initially happy with their decision, as the years progressed Francis and Evelyn started to wonder whether Spain was right after all. Francis and Evelyn had previously visited New Milton in Hampshire on family holidays when their children were younger and had happy memories of the area. When they made their decision to return to England, a Retirement Homesearch UK property in New Milton was at the top of their wish list. Now in their new south coast home, Francis and Evelyn are a walk away from all the local amenities. 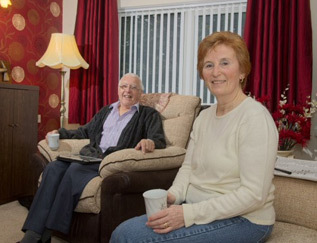 And apart from the safety factor of living in a retirement development and the re-assurance of living closer to their family, Francis and Evelyn have made some great friendships. “The whole process of buying the new property was managed smoothly and we love the area”, said Francis. For more information on retirement apartments and retirement bungalows - either in a town, country or coastal location - call us on 0333 321 4060 (England, Scotland & Wales) or send us an email. Alternatively register for property alerts so you can be the first to hear about UK retirement properties in your preferred location.